Manchester United take on Sunderland for the 135th time in both clubs history. 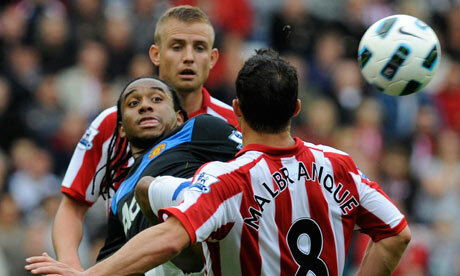 United beat Sunderland 3-1 in December with goals from Robin van Persie, Tom Cleverley and Wayne Rooney. This was indeed the last time both Rooney and van Persie scored in the same game, and with the Chelsea FA Cup quarter final on the horizon, its doubtful that this will change any time soon. The Stadium of Light was the scene where United fans saw the team top the table with all games played, but in dramatic circumstances – finished in second place ten seconds later. We’ve put together a preview, including a great View from the opposition, team news, United line up and match prediction. We welcome comments from both sets of fans. 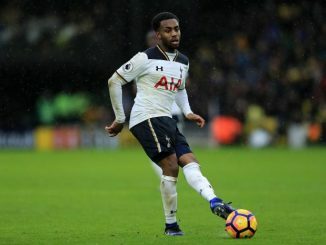 We have a great ‘View from the opposition’ from David, who blog over at http://www.rokerreport.com/. You can follow David on Twitter here @davidboyle1985. 1) How would you sum up Sunderland’s season so far? An exceptional disappointment to be frank. While I, and any sane Sunderland fan for that matter, had no expectations of grandeur this term I certainly did not see this side scrapping for points to avoid the drop come this stage of the season. We have been woefully pedestrian and devoid of any attacking, creative ideas this year which no-one could have predicted having added Adam Johnson to a side that already boasted lively players like Stephane Sessegnon, the emerging James McClean as well as the trusty right boot of Sebastian Larsson. 2) Is Martin O’Neill the right man to lead you on? Absolutely. Make no qualms about it O’Neill will undoubtedly have some hard questions to answer from the Sunderland board once the dust settles on this season however it would be unfair to attribute all blame at the feet of the gaffer. Our squad is simply not good enough. Bruce left behind a woefully average squad made up of middling, run-of-the-mill footballers that should be on the fringes of the side not first team regulars. The rebuilding job that O’Neill took on when he joined the club was never going to be solved with a convenient “overnight” fix, this was always a project that was going to take some time and most importantly patience. In fact the gaffer took a bit of a gamble this term and began shipping out a lot of deadwood ahead of the summer which left us with a paper-thin squad but such is his desire to be able start a much needed and extensive recruitment drive in the summer. 3) Will he be there next season and if he is, what advice would you give him? Apart from banging his head off a brick wall until he comes to his senses and realises that Sebastian Larsson is not a central midfielder I would just like to see an O’Neill side be a little more adventurous and have a go. We seem to pay too much respect to sides and get what we deserve from games, more often than not – nothing. I would love a return to the swashbuckling counter attacking gameplan that worked so well when O’Neill first came to the club. We used to defend so well as a unit, swarming across the opposition in our own half – not giving them a second to settle on the ball – before hitting them with a swift and effective counter attack. However we are now a side that is seemingly devoid of any pace, creativity or, more damningly, quality. It is all well and good playing with two forwards, as we have for the last couple of weeks in the shape of Fletcher and Graham, but if your widemen are just going to fire in lazy and languid balls somewhere in their vicinity then what’s the point? 4) Is there any chance you’ll be relegated? Of course there is, there is absolutely a chance we may well be relegated. When you couple our recent run of form with our upcoming fixture list then it makes for some distressing viewing for any Sunderland fan. We are in a position now where our Premier League safety may well come down to whether or not there are three worse sides in the league than our own shambles but at present the sides in and around the drop zone are either putting points on the board or look likely to come now and May, something you can’t say with any real confidence of Sunderland. 5) What have you made of United since 3-1 defeat when you last spoke to us? United has simply been a juggernaut this year. While comparisons are always going to be made between this Manchester United squad and the successful sides of years gone by, they all have the same most important hallmark – a winning mentality. How many times have you watched United fall behind and think to yourself that the game was over? Never. It is for this reason that I always enjoy watching Manchester United over their rivals Manchester City, Chelsea or to a lesser extent Arsenal who are more style over substance. Give me a workman like, clinical and driven Alex Ferguson side any day. 6) How do you think United will line up given that the FA Cup replay is Monday? Sir Alex will undoubtedly field a “weakened” side this weekend with some big games on the horizon although I am not comfortably in using that term at all. The simple fact is that the fringe players that will be given the nod on Saturday could more than likely walk into Sunderland’s starting eleven. 7) How will Sunderland line up against United? We will almost certainly see a return to a 4-4-1-1 / 4-2-3-1 formation following the absolute failure of O’Neill’s recent experiment with 4-4-2 in order to shoe-horn both Steven Fletcher and Danny Graham into his side. This may well be a positive thing, despite the obvious loss that Fletcher will be. I wouldn’t expect to see too many changes at the back, with Mignolet in goal behind a back four of Gardner, O’Shea, Bramble and Danny Rose. Ahead of them I would expect a defensive midfield pairing of Jack Colback and Sebastian Larsson. Into the attacking third of the field Danny Graham is expected to get the nod ahead of Connor Wickham for the lone striker spot with James McClean, Stephane Sessegnon and Adam Johnson across the middle. The thing with Sunderland is “What you see is what you get”, we have absolutely no options on the bench that could come on and make a difference and in fact have often struggled to fill every spot on the bench this year. Connor Wickham may well buck this recent trend following his return to the club, we’ll have to wait and see. 8) Who has been your best player all season? It would have to be Simon Mignolet who has simply been immense this year a real colossus between the sticks who has probably helped Sunderland to as many points this season as Steven Fletcher has with his goals. Kind of sums up our season really when the keeper is the standout performer. 9) If you could take one United player, who would it be? Wow, just one? I suppose given Sunderland’s deficiencies in the middle of the park I would love to see Shinji Kagawa in a red and white shirt. His vision, magnificent surging runs and eye for a goal are something that is woefully missing from this Sunderland side. Of course I’d love to see a return to Wearside for Jonny Evans and Danny Welbeck too, but that boat has well and truly sailed. 10) Why have Steven Fletcher’s goals dried up? A number of reasons in truth. Firstly the Scot has been carrying and managing an ankle knock for what seems like months. This injury has obviously now been superseded with further ankle ligament damage sustained whilst on International duty which has drawn a close on his season. Quite why we allowed him to join up with the Scottish squad is preposterous and we have paid a heavy price for such naivety. O’Neill could really do with taking a leaf from Sir Alex’s book in this respect. Secondly he has more often than not been starved of service. As I have mentioned quality and creativity from our key players has been left desperately wanting this year, with Stephane Sessegnon, Adam Johnson and James McClean all failing to reach any level of consistency this season. As such Fletcher has been often left a lonely and frustrated figure, forced to come deeper and deeper to receive the ball. Bet £20 on United and get £20 free to bet on the fixture against Sunderland on Saturday. With Manchester United traveling to Stamford Bridge on Monday, Sir Alex Ferguson has revealed that he will be rotating his squad for the fixture. The fixture could see the return of Phil Jones, who has been out since the 2-1 victory over Reading the FA Cup with an ankle injury, and Paul Scholes, who last featured in the 4-1 FA Cup victory over Fulham. Anders Lindegaard could also make his first start since lining up in the FA Cup replay against West Ham in January. Sir Alex Ferguson also revealed at the press conference that Nani is now fit and could well be included within the squad on Saturday. Sunderland are without their leading scorer Steven Fletcher and club captain Lee Cattermole through injury. Fletcher suffered ankle ligament damage against Wales during the International break and is unlikely to return to action until August. Cattermole has recently undergone surgery and the competitive midfielder will miss the rest of the campaign. David De Gea has been in fine form for Manchester United since his criticism for his error in the 1-1 draw with Tottenham Hotspur back in January, however Lindegaard could well come in and replace him, in preparation for the fixture on Monday. 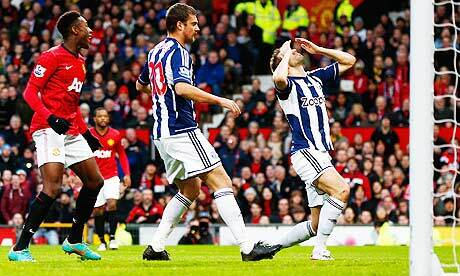 Evans, Ferdinand and Evra should all be rested, whilst Carrick and Cleverley should make way for Anderson and Scholes. The more attacking berths are harder to predict, especially considering Hernandez’ goal scoring record against Chelsea, however – he is expected to start, with Rooney, van Persie and Welbeck all on the bench in reserve. Japanese playmaker, Shinji Kagawa is expected to operate in the number ten role, whilst Young or Giggs should operate on the left and out of form Antonio Valencia on the right hand side. How do you think Manchester United will line up? Manchester United have a fifteen point gap at the top of the table, whilst Sunderland are dangerously flirting with relegation, just four points above the drop zone. The hosts have not won a game since January 19th, when they beat Wigan 3-2 at the DW Stadium. Since then, Sunderland have lost 2-1 away at fellow strugglers Reading and away at bottom club QPR. Now they find themselves without top scorer Steven Fletcher for the visit of Manchester United, who last lost at Sunderland back in 2000 in the League Cup fourth round. You would have to go back to March 1997, the last time United lost against their North East rivals – which came after United’s superb 4-0 victory over Porto. Sunderland have only come back from a losing position to win the fixture once this season, so it will be key for United to grab the first goal. 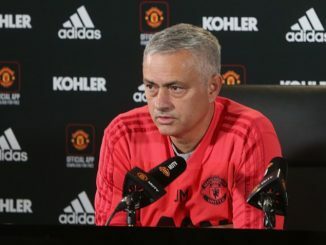 As mentioned throughout the preview, Sir Alex Ferguson will be conscious of fatigue and tiredness, so will no doubt rotate his side since the last fixture against Reading earlier in the month. The manager will no doubt use all three subs and rest a few players that will be key in the Chelsea fixture forty eight hours later. No doubt Javier Hernandez wil be one of the players to make way for either van Persie or Wayne Rooney. The Dutchman will be full of confidence following his brace midweek against Romania and become the Netherlands all time top goalscorer, surpassing the legendary Johan Cruyff, which hopefully he takes in to the next two fixtures. United may rotate but Sunderland are in awful form and with the loss of Fletcher and Cattermole – it will be extremely difficult to get a result.